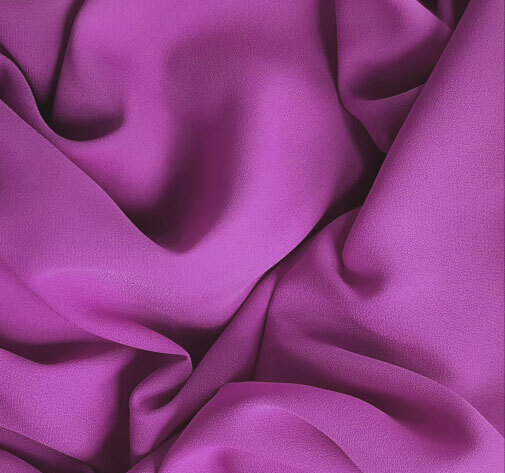 Soft, cuddly and irresistible - a fabric can be quite enticing. The NEW LOOK that has the whole fashion industry holding its breath has its roots in the fascination and impression of modernly refined premium knitted fabrics. 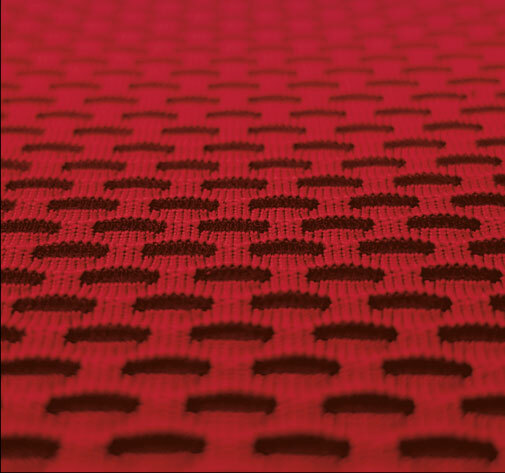 As one of the leading jersey producers in Europe, it is our unique combination of modern technological standards and Saxon textile traditions that makes NOON a premium producer of laminates and fabric compositions made of circular knittings. Jersey - made in Saxony! In the fields of fashionable textiles and home textiles, NOON produces certified high quality printer bases and coloured yard goods in various different final make-ups. 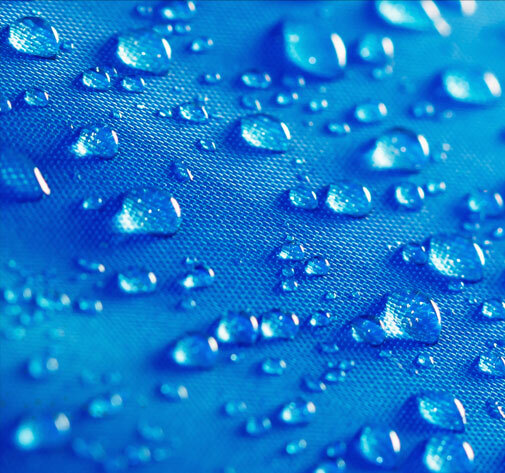 From breathable fibre structures to heat-regulating fabrics and complex material technologies - modern functional textiles are the epitome of innovative designs. When it comes to functional wear, whoever wants to be one step ahead of the competition needs a partner that is able to combine modern standards in regard to infrastructure, technology and technological know-how with in-house developmental resources. As a specialist of the Seamless technology, NOON relies on machinery consisting of 100 large circular knitting machines and 25 fully electronic seamless knitting machines every day. Apart from our role as a premium producer of functional high-quality knitted fabrics, NOON is also an active supporter and solution provider for client specifications that require intensive development. The large assortment of products in NOON’s “Function” division ranges from coloured yard goods to manufactured final products. Whether on land, on water or in the air - humans push forward into more and more new worlds. In unison with the unstoppable technological progress, there is also an increased need for technological textiles that are equipped with intelligent and needs-based functions. For more than 40 years, a national and international customer base from various industries has been relying on NOON’s technological premium knitted fabrics. 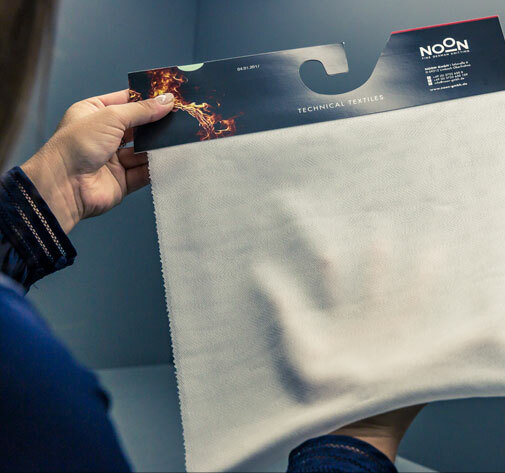 What makes NOON one of the leading brands in the field of textile technologies is the perfect combination of innovative products, intelligent circular knitting solutions and customer-specific services. We at NOON serve our clients from start to finish. Always up to date when it comes to the most recent trends on the market, and originating from individual client orders, a team of creative minds, technicians and engineers develop textile compositions of knitted fabrics of premium quality. This modern and market-oriented entrepreneurial spirit was rewarded in 2014: NOON was awarded “Supplier of the Year” by car supplier ContiTech AG in the field of technological equipments.